A bridge is an ideal method to fill the space created by missing teeth. A bridge is one or more artificial teeth that are cemented into place using the real teeth on either side for support–hence the name. This is an option for filling the space created by a missing tooth. A bridge replaces the missing tooth, both functionally and cosmetically. Bridge work is as much an art as it is an exact science. Bridge materials include gold alloys, porcelain bonded to metal alloy, or all-ceramic material made to match your natural tooth color. The choice of material depends on requirements for strength, wear, and/or esthetics. Our Planmeca E4D CAD/CAM system allows us to provide a radically improved patient experience for crowns, bridges and other restorative procedures. This state‐of‐the‐art system allows us to deliver exceptionally high-quality crowns to our patients in 2 hours, rather than in 2 weeks. 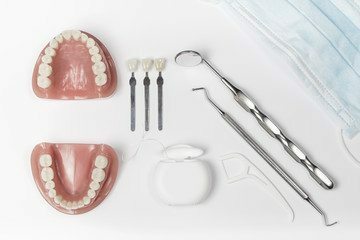 We can even clone your existing tooth. No goo, No wait, No temporary crown! 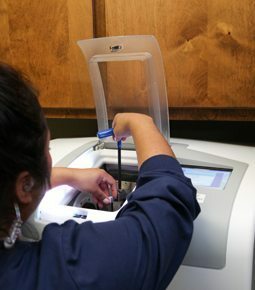 First, we scan your tooth using an intraoral camera with blue laser technology. We then upload the scan and use the computer to make a 3D image that captures the structure and shape of your tooth. Using this data, we design a custom-fit crown. The computer-controlled milling machine processes the design and creates the actual crown using a high-speed diamond bur and calculated precision. Finally, we bond the restoration to the tooth using a resin material.